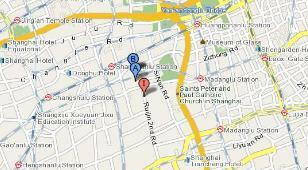 Zhou Enlai's (zhōu ēn lái 周恩来) (1898-1976) former residence is located on Sinan Road. It is a three-storey house with a strong French architectural flavor. Zhou Enlai, the former Chinese Prime Minister in the 1960s and 70s is seen by many as one of China's greatest twentieth century leaders. A keen military strategist and an excellent diplomat, Zhou was a key figure in negotiations between the U.S and China in the 1970s. Zhou Enlai lived here during the domestic war. It was also the representative office of the Communist Party of China from 1946 to 1947 and there are some great black and white photos documenting events that took place here! The house is surrounded by a pretty garden with wicker chairs and has a very colonial feel about it. 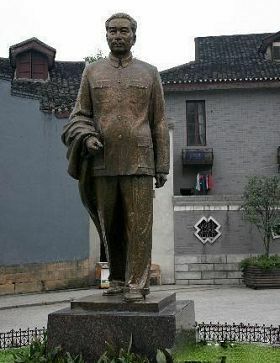 The backyard has a small courtyard garden, where there is a statue of Zhou. His old black Buick is still parked in the garage. A visit here is a real trip back in time and it's usually very quiet and peaceful. The house is surrounded with heavy vegetation. 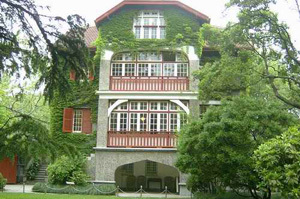 Premier Zhou Enlai, used to stay at this ivy-covered house when he visited Shanghai in 1946. The house was used more as an office than residence, and it served before the revolution as the Communist Party's Shanghai office. Zhou kept a spartan (jiǎn pǔ de 简朴的) room on the first floor (his threadbare blankets are neatly folded on the bed); newspapers were produced on the second floor; and a dorm was maintained in the attic. The items in the bedrooms of Zhou Enlai and Dong Biwu (dǒng bì wǔ 董必武) are displayed in the places where they were, but the furniture in the residence are not original but replicas (fù zhì pǐn 复制品). At 73 Sinan Road (sī nán lù 思南路) in Luwan District (lú wān qǖ 卢湾区) is a garden residence of French style on whose gate there is a broad reads “ Residence of Mr. Zhou” and “ Residence of General Zhou Enlai”. It was the site of the Shanghai Office of the Delegation of CPC from 1946 to 1947 and the memorial of the shanghai office of the delegation of CPC was set up on the very place after the founding of People’s Republic of China. 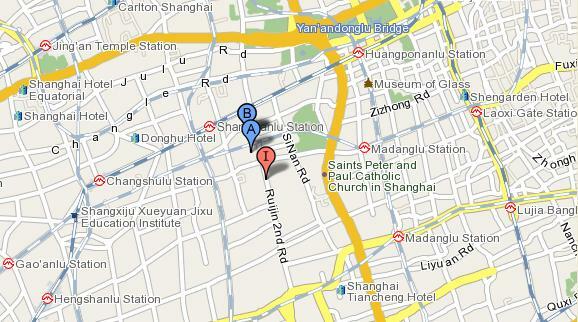 You can take bus No.36, 986, 932, 786, 96 and get off at the Sinan Road.